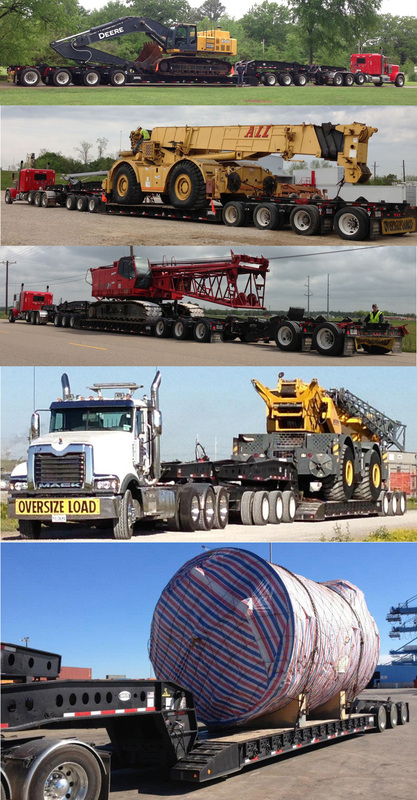 Albion, PA — Anchor36 Trucking, LLC, located in Kenner, Louisiana, specializes in transporting oversize, overweight and difficult loads. In order to maximize their ability to haul a wide variety of specialized loads, Courtney Brauninger, President and co-founder of the company, approached Rogers Brothers Corporation with a request for a design that would allow them to reconfigure a single trailer for multiple purposes. ROGERS® manufactured a trailer with interchangeable platform and I-beam decks. A drop-side deck can be added at a later date. Because Anchor36 focuses on the construction industry, a "Bucket Pocket" and "Boom Trough" were built into the platform deck to nestle excavator's booms and buckets for increased overhead clearance. ROGERS new CobraNeck, multiple ride height gooseneck is enhanced by a 72" gooseneck extender for a 3-axle jeep dolly. The rear frame has removable/flip 4th and 5th axles with air lift on the 3rd axle and a self-equalizing "nitro" spreader. Depending on the configuration, the trailer is rated at either 90 or 70-ton capacity. Rogers® modular trailer meets the needs of specialized haulers.